Getting your tire pressure right goes a long way to having to having a fun, fast-flowing ride and staying black-side down. 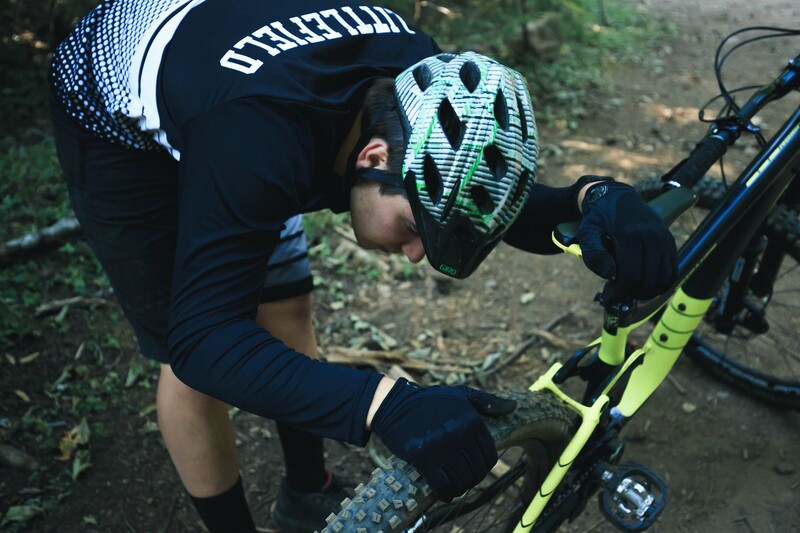 While the overall pressure range to consider is relatively small, finding that sweet spot can have a huge impact on how your bike performs. 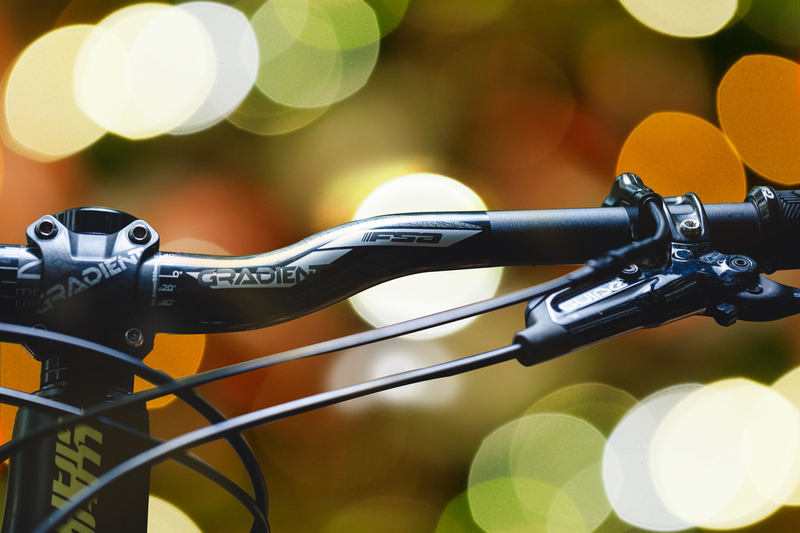 Typical mountain bike pressures range from 22psi (1.5 bar) to 35psi (2.4 bar), generally with more air in the rear than the front. This is because more of your weight is on the rear, so it needs more support. The exact numbers are determined by what tires you’re running, what terrain you’re riding, how aggressively you’re riding, and what the conditions are. There’s also a degree of personal preference: the best riders in the world can race to within fractions of a second of each other on different setups. They won’t vary by much – just a few psi, yet even 1psi (0.06 bar) can make noticeable differences. While lower pressures are associated with slower rolling, in reality that’s only true on the smoothest surfaces. Why? Hard tires can’t deform around rough features, and are instead forced upwards, leaving the suspension and/or your body weight to absorb energy that would otherwise be powering you forward. As well as dragging speed from your bike, wearing you out and making control more difficult, running too-high a pressure reduces grip. All this slows you down in ways that the simple ‘harder is faster’ theory just doesn’t account for. At the other end of the scale, if pressure’s too low, e.g. under 20psi (1.3 bar), wheel rims will be vulnerable to impact damage, inner tubes at risk of pinch-punctures (known as ‘snake bites’ for the parallel slashes they leave), and the tires prone to flopping sideways under hard cornering; over-soft tires feel draggy and unstable. For long distance and XC riding, rolling resistance is more important than ultimate grip because power output needs to be efficient. Plus, your chosen tires are likely to be light and relatively thin and flexy, so you’ll benefit from slightly higher pressures: think 28-30psi (1.9-2 bar) rear, 26-28psi (1.7-1.9 bar) front. Going beyond 30-32psi (2-2.2 bar) on the rear and 30psi on the front is rarely beneficial on anything but the smoothest surfaces, especially if you need hard braking grip. The rougher, steeper and more technical your preferred trails, the more outright grip becomes the driving force, and the lower your ideal pressure is likely to be. The traction, speed and control of tires that mould around roots and rocks instead of pinging and sliding off far outweighs any rolling speed lost on the occasional smooth spot, and it’s the same on the climb. Compliance and traction will get you further up technical climbs than nominally easy-rolling; hence the success of fat bikes and 27.5 plus bikes. Tubeless tires are great for running lower pressures because there’s no risk of pinch punctures – though if you’re riding very aggressively you may still find that tires start flopping on the rims and require similar pressures as tubes. If you’re particularly large or heavy and find your tires squirm without higher pressures (mid 30s or above), swap to a tougher tire with a stiffer construction. Look for a higher Treads Per Inch count (TPI) for extra support. You’ll likely be faster overall with a heavier tire at workable pressures than with a lighter one that’s too full of air – and you’ll definitely feel more confident and comfortable. 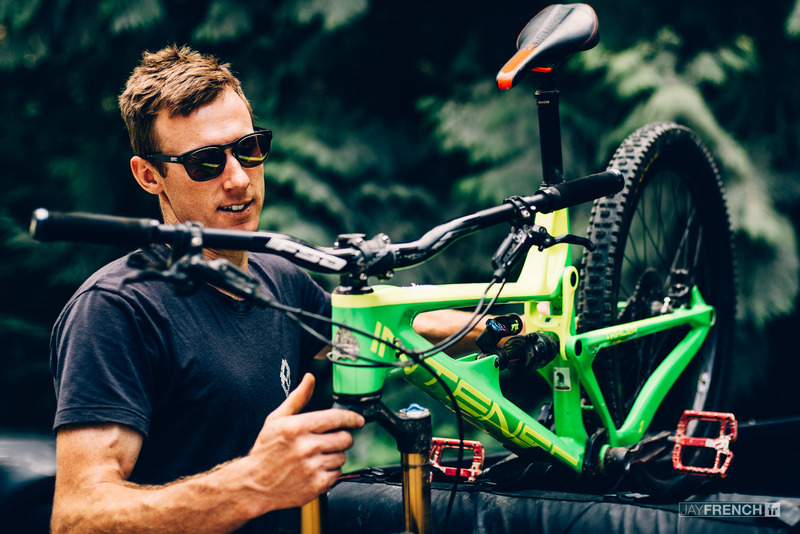 Next time you head out with your MTB, why not take a pump and a pressure gauge, and experiment? You might be surprised just how much it changes your ride!